Scott Kongable is the president of Crystal Group. He joined the company in 1998 as the Director of Engineering, becoming the president in February 2003. In this capacity, he is responsible for the general supervision and control of the company’s business and affairs. 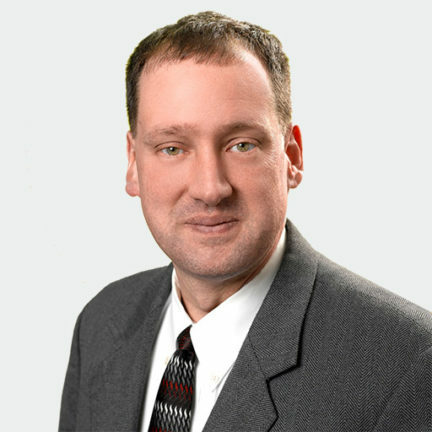 Scott holds Bachelor of Science degrees in mathematics and statistics from Iowa State University and a Masters in Business Administration from Nova Southeastern University. Prior to joining Crystal Group, he spent ten years in various engineering functions with Rockwell-Collins; most recently as a project engineer in their military Global Positioning System business area. Scott is an American Society of Quality Control Certified Reliability Engineer and Certified Quality Engineer. In addition, he is a member of the Project Management Institute as well as the Armed Forces Communications and Electronics Association.